Wayne Dalton's full-view aluminum garage doors are designed to complement modern homes, with clean lines and an array of finishes. These doors can also enhance your home's glass expanses and patios, perfectly fusing indoor and outdoor spaces. Model 8800 offers a variety glass options surrounded by aluminum frames that are available in both powder coat paint and anodized finishes. Contact your local Wayne Dalton Dealer for model availability in your region. *A 2-panel option is available for 9' wide doors. 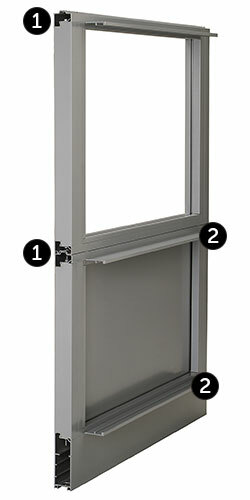 **A 4-panel option is available for 18' wide doors. Due to the weight of this door, it is only offered in the Double-Wide frame. Panel spacing drawings shown are for illustrative purposes only and do not reflect actual stile and rail dimensions. If you are ordering a 16’3” or wider door, as well as a single door, check with your dealer to ensure that the door frames match. 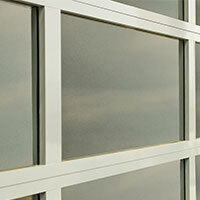 Tempered safety glass, acrylic or solid panels are available in a wide variety of colors, tints and styles. Custom glass is also available. 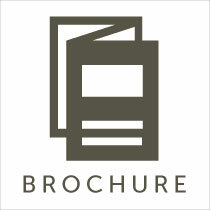 See your Wayne Dalton Dealer for details. 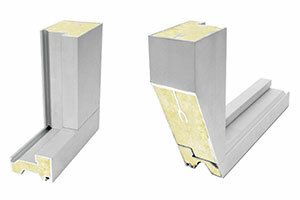 Most panel styles are also available in both single pane and insulated configurations. Wayne Dalton offers a 5-Year Limited Warranty on the aluminum for this garage door. 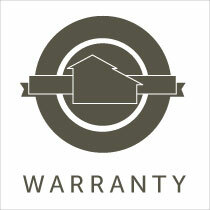 Please reference the warranty document for details.